ATD Press is the premier publisher specializing in best practices related to workforce education, training, and professional development. ATD titles help training & learning practitioners increase their relevance, enhance their skills, and align learning to business results. Topics include training basics, management, training evaluation, instructional design, and leadership. Each ATD Workshop Series book provides all the content and trainer’s tools needed to create and deliver compelling training guaranteed to en-hance learner engagement, deepen learner understanding, and increase learning application. Each book includes interactive half-day, one-day, and two-day workshops designed by leading training experts, with flexible timing, fully customizable training and support materials, and more. ​Directing an organization’s talent development effort can be like a journey without a map. Legendary training and development leader Elaine Biech points the way forward, providing leadership and direction to help any organization. She covers developing a TD strategy, creating an operating plan, and reinforcing an organization’s TD mindset, through design and delivery, measurement and evaluation, and preparing for the future. 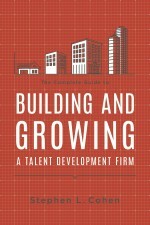 Complete with perspectives from trusted experts and icons in the field, this book serves as a professional atlas for talent development excellence. Everyone has experienced a situation at work where challenges pile so high that the only solution seems to be to cut and run. This set of unique yet familiar stories creates a conversation about universal workplace problems that can arise in any career and how we can solve them for ourselves in fresh ways. Whether you’re thinking of quitting your job, you feel stalled out at your workplace, or you’re advising someone who has hit a wall, Work the Problem is the book to reach for. Trainers try to facilitate connections for learners, knowing that they must first make connections for themselves. One way to do that is to be a storyteller. But do you select, structure, shape, and tell effective stories? This practical, innovative book by Hadiya Nuriddin, instructional designer and storyteller extraordinaire, explores how to find and deliver stories, engage learners, and make training more relevant. Modern learning audiences want flexibility and personalization—development on their terms. They need a blended approach to learning that lets them grow their skills and knowledge where they actually perform their work. When designed and implemented effectively, blended learning will help training professionals breathe life back into their talent development offerings. People become experts at their jobs by learning while doing. 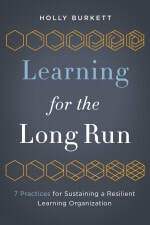 But how can organizations ensure that everyone receives the same learning experience? After all, most on-the-job training programs leave learners to sink or swim depending on who oversees their work. In Learning While Working, talent development manager Paul Smith shows how to structure training on the job to provide the focus and direction needed to track progress and build a pipeline of better-skilled workers. The only sustainable advantage in today's competitive marketplace is the ability to learn and adapt faster than everyone else. This book shows how on-demand learning inspires employees to achieve higher levels of performance and helps managers move from traditional “command and control” to being advocates of communication and collaboration. Find out what happens when managers help their direct reports grow as people and use technology to pull the learning they need when they need it. How Did I Not See This Coming? First-time managers are under tremendous pressure but are often totally unprepared for the rocky journey ahead of them. This book tells the fictional story of Julie, a onetime star producer, to illustrate how a new manager can success-fully make the transition to a leadership role. It offers five basic truths about management—starting with recognizing team values and strengths—that can be learned by anyone. Automation, the cloud, mobile, big data, and the internet of everything—we live in an on-demand world, and these are the five factors that cause the biggest transformational changes to how we connect, communicate, and get things done. But how do they affect our learning strategy and execution? This book is a primer on what every learning leader needs to know as they enable their organizations to move at the speed of business. Top speaker Erik Palmer taps into his vast experience to simplify the process of extraordinary speaking, whether giving a wedding toast, preparing for a sales call, or delivering a keynote. His 11 steps show how to craft the perfect mes-sage and captivate audiences with exceptional delivery. 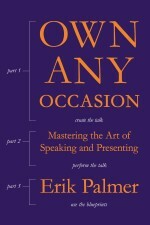 Whether the audience is large or small, the message personal or professional, Palmer’s easy system will help everyone become the best speakers they can be in any situation. Evolving expectations. Increased calls to add value. Shifting training roles. Training professionals are no longer simply deliverers of learning services and products; they are now allies with managers to support business priorities. This book delivers a framework to strategically align trainers' roles to drive the performance that matters most. When trainers use games, learners win big. Games are more effective than lectures at holding learners’ interest and helping them explore new skills and experience different points of view. This book bridges the gap between instruc-tional design and game design to grow designers' game literacy and strengthen crucial game design skills. Includes real examples of in-person and online games for readers to try as they read. Improv expert Karen Hough shows how anyone can learn to be more creative and innovative—using improv's flexibility, humor, focus, and "yes, and" principles. In this book, she brings her discoveries from the success of improv troupes to the front lines of innovation in business. Learn how executives and organizations can use improv techniques to get their teams working and innovating together. Hough shares many stories of how companies can break through old patterns and learn to create through listening, agreeing, and discussing ideas. Organizations thrive when employees feel valued, the environment is energized, and high productivity and innovation are the norm. This requires a new kind of leader who fosters a culture of connection within the organization. 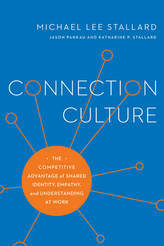 Connection Culture provides a fresh way of thinking about leadership and offers recommendations for how to tap into the power of human connection. Sales teams don't want to take time away from selling. Even though they know that account planning spurs sales performance, account planning just won't stick once sales start to boom. No more. Essential Account Planning offers practical advice, stories, and templates for sales managers and trainers to frame an account planning approach and deliver account planning training that lasts. 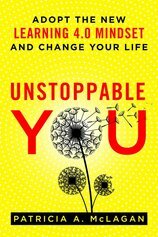 Unstoppable You is the ticket to creating a fulfilling and successful life for individuals and to promoting a culture of learning for organizations. 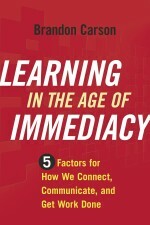 Targeted to professionals in any job or industry, this book is an invitation to upgrade to Learning 4.0—where one becomes more fully able to respond to new insights and pro-found changes in the world—by adopting seven basic practices. Includes a toolkit of templates, guides, and tips. Whether readers are looking to start their own talent development firms or just need some tips to at-tract new business, Stephen L. Cohen knows how to help. Drawing on 40 years of founding, expanding, selling, merging, and leading talent development firms, he delivers a one-stop shop for thriving in a competitive business environment. When trainers use games, learners win big. Games are more effective than lectures at holding learners’ interest and helping them explore new skills and experience different points of view. This book bridges the gap between instructional design and game design to grow designers' game literacy and strengthen crucial game design skills. Includes real examples of in-person and online games for readers to try as they read. Whether readers are looking to start their own talent development firms or just need some tips to attract new business, Stephen L. Cohen knows how to help. Drawing on 40 years of founding, expanding, selling, merging, and leading talent development firms, he delivers a one-stop shop for thriving in a competitive business environment, overcoming barriers to success, winning over customers, and building repeat business. A stellar mentor can change the trajectory of a career. And an enduring mentoring program can become an organization’s most powerful talent development tool. But fixing a “broken” mentoring program or developing a new one from scratch requires a unique process, not a standard training methodology. In this book, seasoned program development specialist Jenn Labin provides a model to build connections between people. Her step-by-step approach will help HR and talent development professionals navigate a mentoring program from start to finish. How can you reach remote audiences without boarding a single plane? Live online learning. 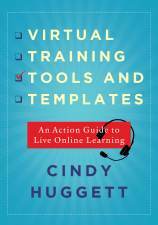 Virtual training expert Cindy Huggett offers her best tips, tools, and templates for delivering effective online training that is short, highly relevant, and extremely engaging. Her worksheets, checklists, and proven tools will make any virtual program successful. This innovative book walks readers through designing, facilitating, and measuring a learning experience that’s proven to delight learners by using the Cafeteria Learning Model, which combines the best of brain science and learning the-ory with the power of choice. This approach encourages learners to explore and absorb content at their own speed and direction and puts them in the best position to succeed. More companies are turning to engagement programs to recoup lost revenue and productivity, but these programs can lose funding when designed without business impact in mind. 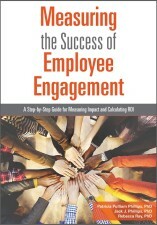 In this book, the authors make the business case for employee engagement initiatives, reveal what it takes to build a program with the end in mind, and ensure that employees drive innovation and increase sales with an engagement program that earns its keep. Shaky camerawork and scratchy audio just won’t cut it with today's learners. Even the most time- and budget-constrained training team can produce polished media following this guide by Jonathan Halls, who draws on his experience running the BBC’s prestigious production training department to help learning teams dazzle. Whether building a training program, blending offerings, or flipping a class-room, this book will help learning professionals make learning dynamic with rapid media techniques. There are more similarities than differences between how artists and scientists work. Both ask countless questions. Both search in earnest for answers. Both are dedicated to reaching the best results. Not so different from today’s trainers, are they? 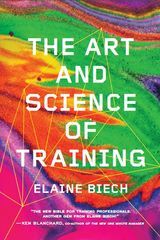 In this book, expert Elaine Biech, one of the most highly re-garded names in talent development, sets out to identify the perfect blend of content mastery and au-dience insight that top facilitators rely on to deliver outstanding training experiences. 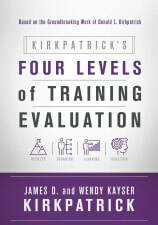 Don Kirkpatrick's groundbreaking Four Levels of Training Evaluation is the global standard for training evaluation, but over the last 60 years a number of misassumptions and faulty practices have crept in. Here, James and Wendy Kirk-patrick set the record straight with the New World Kirkpatrick Model, a powerful training evaluation methodology that melds people with metrics. Training leaders and practitioners alike will discover a blueprint to maximize business results by training people more effectively, improving the way they work, and helping their organizations meet goals. Innovative change leader and seasoned performance consultant Holly Burkett explores how to make the learning organization indispensable while tackling sustainability concerns head on by promoting seven simple practices real businesses use to ensure continuity in learning and development. These practices demystify how to earn credibility and grow a learning function into a mature enterprise able to weather today’s frequent business disruptions. 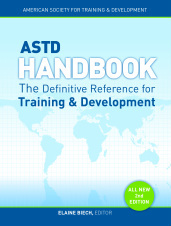 ASTD Handbook, 2nd Edition: The Definitive Reference for Training & Development. In today’s parlance, smartboard is the new chalkboard, and for the profession of workplace training and development, the completely revised 2nd edition of the ASTD Handbook, will drive thousands to the single best resource for every practitioner and occasional trainer. The ASTD Handbook: The Definitive Reference for Training & Development, 2nd edition, more than a year in the making, maintains the authority and credibility of ASTD’s first Handbook (2008), incorporates the new competencies of the profession, and now includes more than 90 percent innovative and never-before published content that will drive buyers of the 1st edition to the check-out line. Covering vital content on technology and application changes of the last few years authored by world-class training and development authorities, this 2nd edition goes beyond anything ASTD has published to date. Like the first edition, supplemental tools are included to support immediate application of the book’s valuable concepts. Spearheaded by expert trainer and world-renowned author, editor, and speaker Elaine Biech, this new volume from ASTD Press will lead the training profession from front of the room teacher to key facilitator and organizational learning leader. The Virtual Training Guidebook: How to Design, Deliver and Implement Live Online Learning. 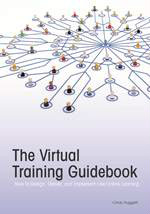 ﻿The Virtual Training Guidebook is packed with checklists, advice, and how-to features. This title instructs trainers how to design, deliver, and implement live online learning and will help learning professionals transition to the online classroom by taking a holistic look at successful implementation, including gaining organizational support, selecting a platform, designing classes, selecting facilitators, preparing participants, global considerations, and the logistics required for success. ﻿How can leaders learn how to manage without giving up the work they love? Executive coaches Satterthwaite and Millard help leaders discover how to work strategically with staff, grow in their areas of expertise, and take on management responsibilities while continuing their professional work. Their extensive training and coaching of man-agers at all levels has shown that successful managers both delegate and do—they are can-do leaders. 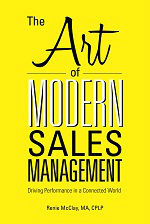 The Art of Modern Sales Management: Driving Performance in a Connected World. This new title from seasoned sales professional Renie McClay, The Art of Modern Sales Management, provides a blueprint for managing performance in the changing and global sales landscape. Each chapter is contributed by experienced sales professionals, many of whom have expertise in both sales and sales management. The Art of Modern Sales Management enables readers to learn from practitioners and then develop their own leadership skills as sales team leaders, whether local or across the globe. How people land jobs has changed. Most need help from a pro, someone who navigates career data, the labor mar-ket, and hot jobs with ease. They need an adviser who will tell them what to pursue and what to avoid—what they need is a career coach. Better yet, several. 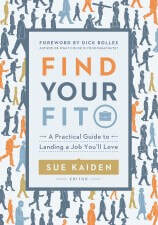 Find Your Fit offers the shared expertise of 16 seasoned experts to help guide everyone’s journey to the right job with the right fit. 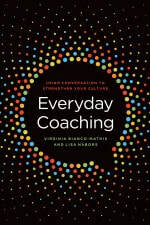 Not everyone is a professional coach, but with this book, they can take the best of what coaching has to offer—the dialogue, tools, and mindset—and leverage it to transform themselves and their organization. It explores the power of using the language of coaching to achieve expectations, personal growth, and overall strategic success. Includes easy-to-use coaching model to practice formal or informal feedback, making agreements, and guiding behavior. In the face of global competition and the explosion of technology, innovation is today’s business imperative to remaining productive and adaptive. 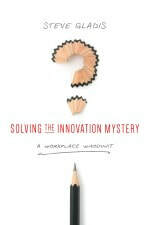 In this entertaining tour de force, leadership authority Steve Gladis deftly solves the innovation mystery as we track private investigator Roland Epps and executive coach Dana Glass to illustrate his thesis that a safe, trusting culture is essential for creativity to thrive and for innovation to take root. Studies show that most people leave their jobs because they dislike the way they are supervised. So what can man-agers do? 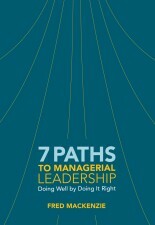 Management consultant Fred Mackenzie presents seven simple paths to effective relationships between managers and staff. Each path offers wisdom that focuses on action, not position, and inspires others to do their best work. 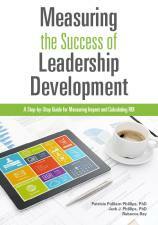 This guide helps leaders identify their leadership style and build on their strengths to inspire those they lead. 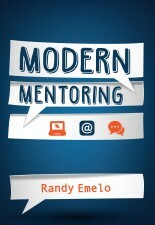 Drawing on his rich business experience, Randy Emelo explains why organizations should consider all employees potential mentors. He offers a blueprint for success that benefits more than the select few and steers clear of forcing connections between people. Emelo demonstrates that a culture in which people choose what they want to learn and whom they learn from increases organizational intelligence. His model shows what it takes to grow a modern mentoring culture and which tools to use to facilitate organization-wide mentoring. More is being invested in leadership development now than at any other time in history—and that translates into ad-ditional accountability for anyone spearheading a new program. Reknown ROI experts Jack and Patti Phillips team up with knowledge organization expert Rebecca Ray to offer a proven methodology to help leaders begin the lead-ership development process with the end in mind and show return on investment to key stakeholders. True leaders open doors of opportunity for people. Drawing on two decades of experience, leadership expert Bill Treasurer shows readers how to open doors of opportunity as they master four essential skills that all leaders must hone. He combines personal stories and anecdotes to illustrate how (and how not) to inspire people. He believes that great leadership is the willingness to take initiative to reach the goals crucial to success. 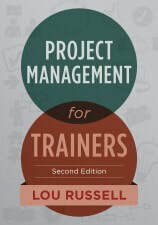 Today’s trainers are taking on truly unique projects—and often many at once—so a seat-of-the-pants approach to project management no longer works. In this refreshed second edition, seasoned learning and leadership expert Lou Russell offers a structured approach to moving projects from conception to completion. Trainers and instructional designers will discover how to maintain a clear focus on client goals no matter how many changes they request or how many people get involved. 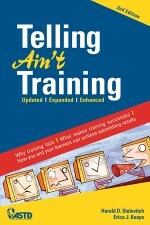 Telling Ain’t Training is chock-full of myth-busting research and ready-to-use tools. Since its first edition published in 2002, its practical, learner-focused approach has quickly became a favorite with learning and development professionals, as well as school teachers, parents, professors, and anyone else who trains, educates, or instructs. Delivered in a lighthearted and entertaining style, the second edition sets new standards for the training industry. 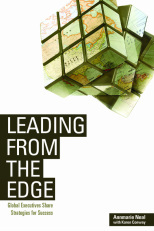 Leading From the Edge: Global Executives Share Strategies for Success. Taken from the pages of today’s business leaders, this new title from ASTD presents strategies for the global-minded and agile companies to successfully set strategy, identify and solve complex problems, and guide their organizations. Learn from seven top executives how they shifted from individual thinkers to leading and growing organizations in an ever-changing global economy. Harness the strengths of individual instructors and incorporate what learners need to succeed. This is the fundamental recipe for facilitation success that is simple and effective. Authors Jim Teeters and Lynn Hodges—long time facilitators—draw on more than 70 combined years of experience to share their unique and accessible approach. 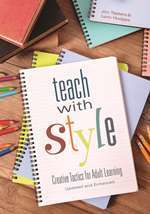 The Teach With Style approach is a dynamic model built around four instructor styles. 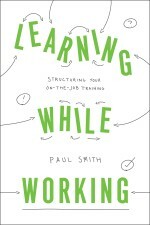 The book contains more than 120 take-and-use learning tactics, plus a sample workshop. 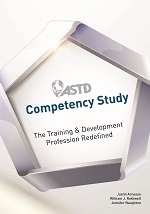 Revised from its original design in 2004, the ASTD Competency Model remains the definitive framework for the training and development profession; understanding and applying the Model is essential to stay current and relevant in the practice. 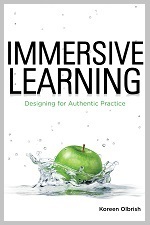 Immersive Learning, or ‘throwing someone into the situation and seeing if he/she floats," is a method of training that is seeing a lot of press today. Primarily used in technology environments with simulations (think pilot-fighter training), there is set process methodology behind this concept. Using ADDIE as the foundation of the training design process (Analysis, Design, Development, Implementation and Evaluation), author Olbrish marries immersive learning principles into the ADDIE instructional system, focusing on what works and doesn’t, cautions and effective implementation. In addition, the book provides case studies depicting success stories across a wide range of immersive learning projects. Managers and supervisors face a myriad of personalities in the workplace. Managing these individual characters can sometimes drive even the calmest boss into a frenzy. 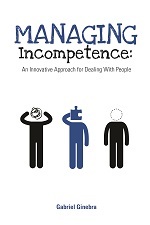 Here, for the first time in English, is a humorous, yet practical title on how to deal with all those seemingly ‘incompetent’ people on your staff. Step-by-step, author Ginebra guides you through the ‘Fougi Model’ to diagnose inefficiencies. Through this process, learn how to discern and improve people’s behaviors in the workplace. Business readers the world over have been impressed with this innovative approach for dealing with difficult people. 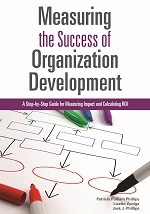 Measuring organization development (OD) has been an ongoing challenge, but here for the first time, is a proposed framework for determining the success and/or failure of OD efforts and effectiveness. This means OD practitioners can now measure specific OD solutions and correlate these metrics with business results. The ROI of OD programs provides measurable data for CLOs and learning leaders with a seat at the table. Change is constant, and it’s not a race to the finish line. 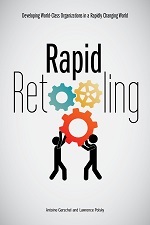 Rapid Retooling describes the cyclical process of change and shows readers how to rapidly and continuously adapt—or "retool"—themselves, employees, and organizations, keeping pace with technology and economic events. Implementing the strategies and tools presented in this book allows readers to sustain a flexible, resilient workplace culture that can quickly respond to changes in the market place. If you have questions about ASTD Press please contact us!